St. Patrick’s Day is just around the corner and I thought I would try and figure out how to make a crochet shamrock. I slightly modified a flower pattern and after several tries, I finally got it. Aren’t they just cute! These are really easy to make. You can make one in just a couple of minutes. 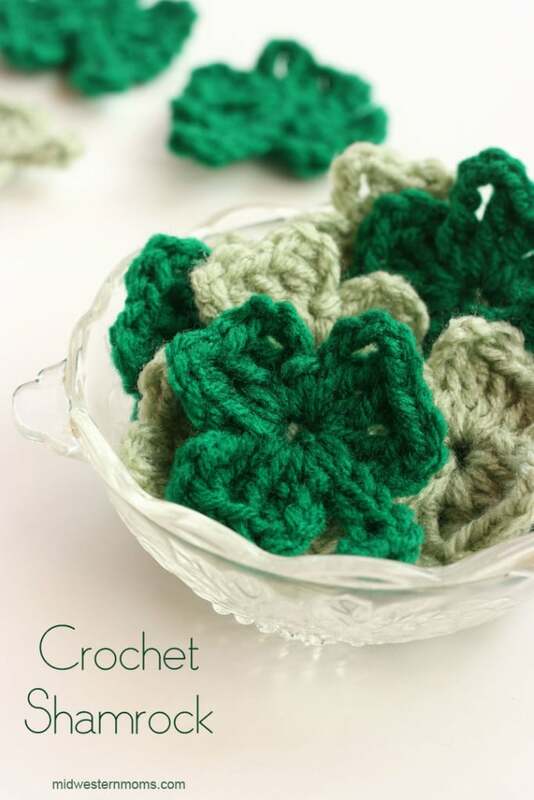 These shamrocks are a great size for using them in several projects you may have in mind. They would make great pins if you don’t have anything else to wear that is green on St. Patrick’s Day. I recently used this pattern to make a Shamrock Coffee Cup Cozy! After making one shamrock, my son asked me to make a garland like I did for Valentine’s Day. So I made several of these shamrocks and strung them on some yarn to hang on our mantle. I just threaded the yarn around the double crochet in the top of the shamrock. See photo below for threading your shamrocks. If you are more of a visual learner, I have made a video for you to watch. Cut your yarn and weave in your end. As you can see they really are very simple to make. Simply enter your email in the newsletter box below (you will be subscribed to our newsletter) and an email will be sent with a link to print the pattern. What would you use these shamrocks for? I’ve been trying to teach myself how to crochet! This might a good “starter” thing for me to try! The first project I tackled was dishcloths. My pattern is pretty easy to follow with a video tutorial as well. These are great. I am trying to make little holiday crochet items to for the holidays of my grandson’s first year to be Christmas ornaments for him. Thanks for your simple design. I used a “magic circle” instead of the first chain four. Great video! Thanks for sharing this! I think these would make a really cute garland or mobile type hanging decoration! Those turned out really cute! My mother-in-law would love these! I’m a new follower from the link-up! These are so adorable! My girls will be thrilled. I can’t wait to try making them. Boy do I wish that I could crochet! 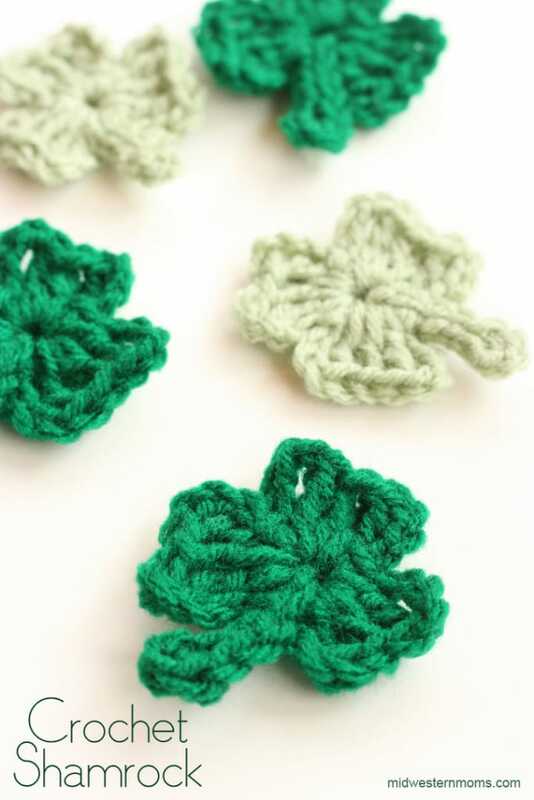 I’d love to make little shamrocks! How adorable! (and I never would have figured a pattern out on my own). Thanks for sharing at the This Is How We Roll Link Party on Organized 31. These are great! Thanks for sharing, I’m going to use your tutorial to make some for a St. Patrick’s Day garland I’m working on. Have a great weekend! I would Love to see your garland when you are done! Such a cute little Shamrock! 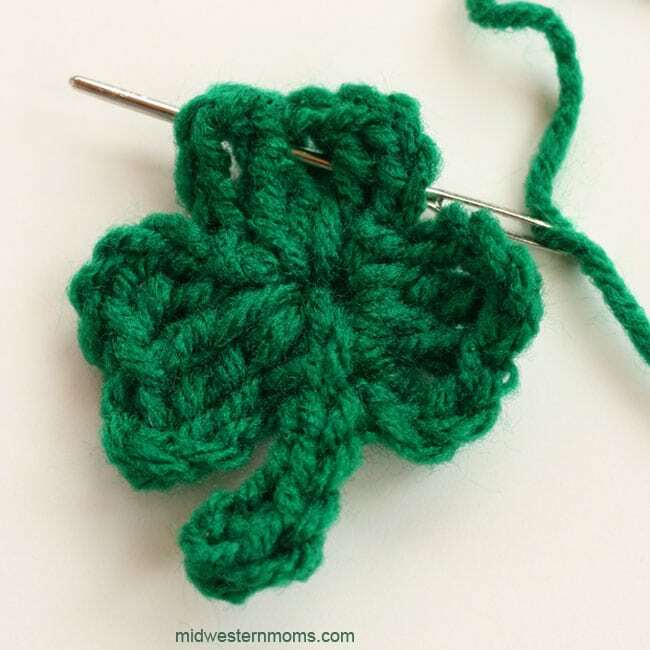 I was thinking about some small shamrocks, and going to start my look for a pattern here soon but while linky party attending, I found this one. Thank you for taking the time to join our party! The Giveaway portion has been updated. Such an easy to follow pattern! I used the shamrock to make a cute headband for my niece. You’re Welcome Anna! Your headband turned out super cute! This is so great! It seems simple enough (even for a beginner like me). I would love if you shared this at Totally Terrific Tuesday that goes live tonight at 9pm CST. I hope to see you there and see what else you got! Those are so cute. I appreciate that you shared the pattern and video tutorial. Thank you so much for sharing your wonderful DIY on #PureBlogLove , what an awesome idea!I Hope to see you this Thursday night again! Thank you for linking up this week at the Pure Blog Love Link Party! The party is live now at Homemade Food Junkie. I am working up a bunch of these! I think I am going to make a garland… We’ll see. hehe. Thank you! You rock! Awesome! I bet it turns out lovely. Thank you! I think this is the best shamrock pattern that I’ve seen! I love it! Thank you for sharing it at the Yarn Fanatic Party! This is going to be one of my features! (Look for it on Facebook tomorrow!) I hope to “see” you at the party again! I love the design of these. I especially like the stem of the shamrock. 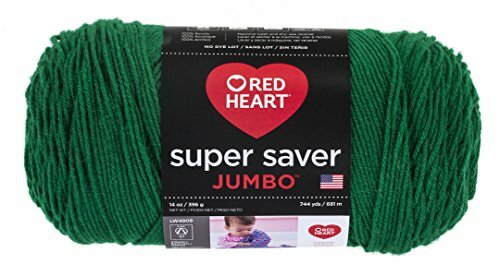 My wife crochets, so I’m going to have to redirect this thread to her. Thank you Brett! I am glad you like it and I appreciate you showing my pattern to your wife! I’d make a garland of these shamrocks. I made a heart garland for St. Valentine’s. You can hot glue a clip on back and wear in your hair on St. Patrick day. I’ve tried a few times, but my center hole ends up big (like a dime-size space), not tight like in the picture. What am I doing wrong? Your chains may be bigger than mine, everyone crochets just a bit differently. Try either chaining tighter or cut out a chain or two to make the space smaller. Hope that helps out. Let me know. Got it! Have made 8 for all the ladies at my table at MOPS to pin on tomorrow. AWESOME! I am glad you were able to get it to work! Have fun at MOPS tomorrow! I found your website while on Pinterest looking for a Shamrock pattern. I have also made the shell headband. I intend to spend more time looking through your website. Thank you for your crochet shamrock video. It was easy enough even I could do it. I love my shamrock! Devon, this is great! Just the right size for a pin to wear, small enough for garland or attach to a barrette for hair wear. Thanks so much! I signed up for your newsletter. Debbie, Glad you like the pattern!! Thank you for signing up too! I used your pattern and attached tie pins to the back with a hot glue gun.